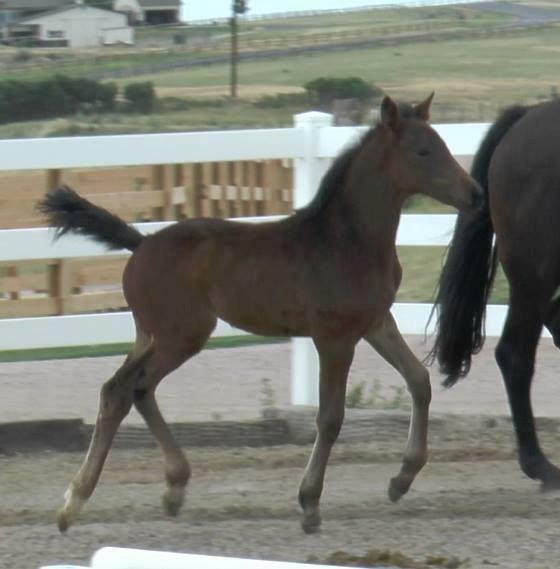 Another happy customer with a Dheputy foal! 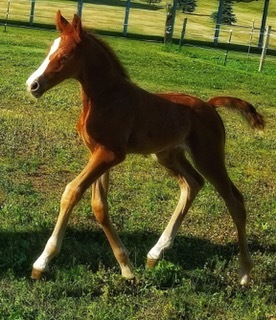 Another really fancy, correct, great moving foal by Dheputy and with the stellar dispositions both top and bottom, Dharma should make a super riding horse or future broodmare. 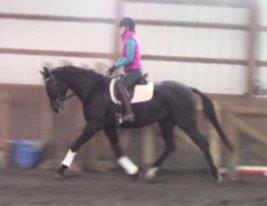 Dhelta is really good under saddle, where her good disposition has translated to good rideability. 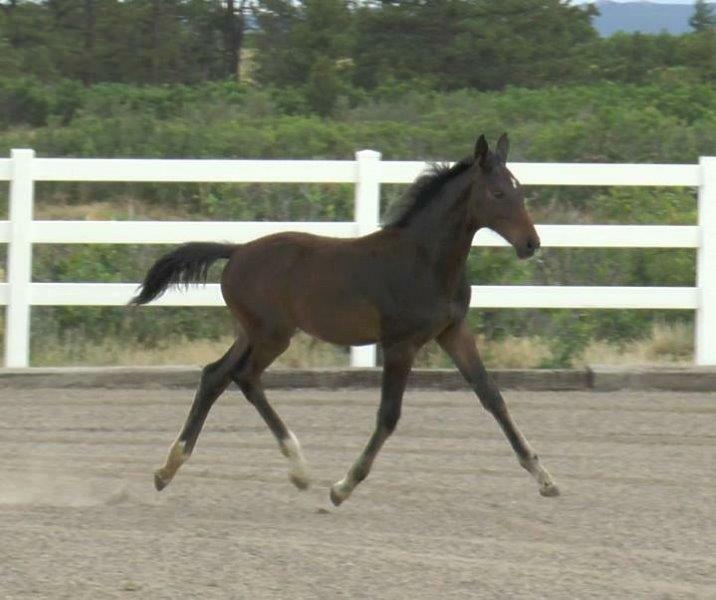 This filly has a really fancy trot! SOLD! Congratulations to Sheila Hill and her daughter Ruth Hill- Schorsch of MI! SOLD! Congratulations to Paula Oliver of PA! Designated an Elite Stute (mare) by the GOV in 2015 on the basis of her outstanding produce record. Shirlene was presented to the GOV on August 6, 2009. She was entered into their main mare book with a score of 7.16. She received 8's for the trot and general impression, and neck, very high scores for the GOV. 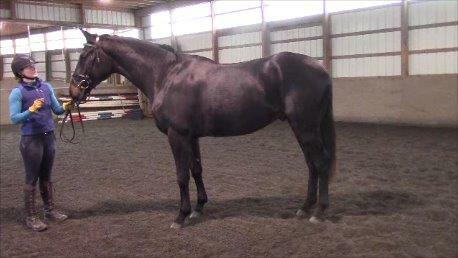 She is really beautiful, and we are looking forward to her foal by Rubignon in 2010. This is one of the most exquisite mares on the farm. Rheceptionist was taken to the Hedgeland inspection in Waterford, Va on Oct. 4, 2008. She received an overall 7.33 with a 9 for head, and 8's for neck, typiness and femininity, impulsion and elasticity and walk. Unfortunately, she had pulled a muscle over her right point of the buttocks and she had been ever so slightly sore for a few weeks prior to the MPT. We just kept her in light work, hoping for the best. 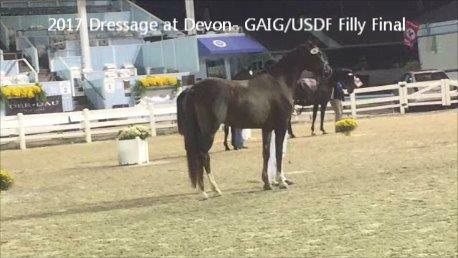 After putting on a show of her gaits in the ring the evening before the actual test, I was especially worried. Unfortunately, there was nothing left in the tank for the actual MPT, and her scores reflected this. She squeeked by with an overall 7.0 as a score, making her eligable for EMC status by the skin of her teeth. 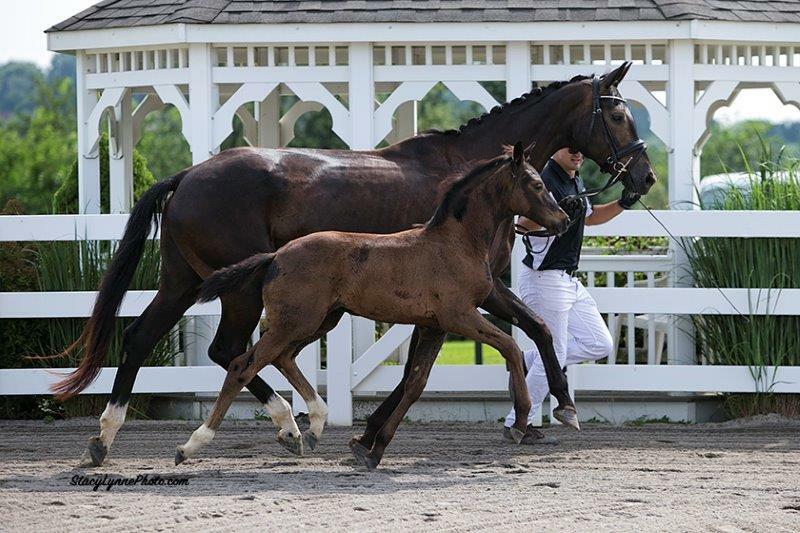 It is always so stressful for these really young mares to travel 3-4 hours in their first trailer trip, have their first overnight experience in a strange stall and then have to perform for their very first event off of our farm. I was proud she could hold it together, frankly. She was a bit crabby and this was reflected in her rideability score of 6.5- definately not where she normally would have been scored. She received and 8 for the walk and a 7.5 for the jumping. 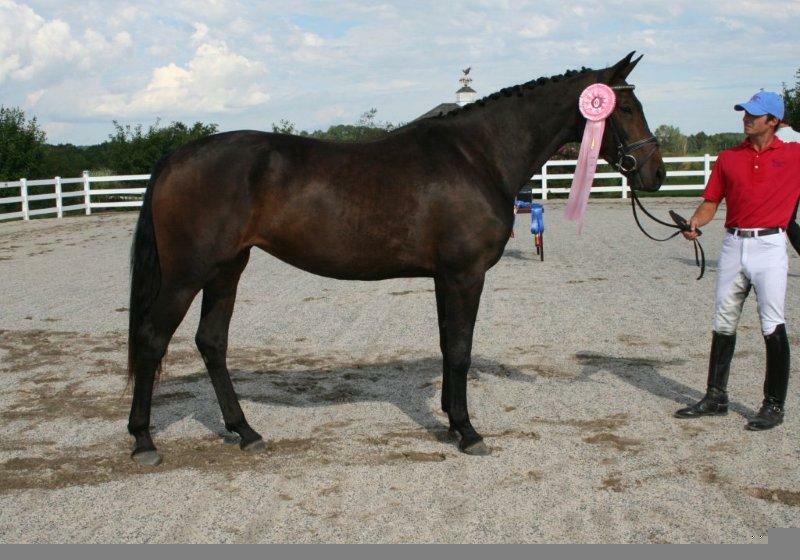 The following day, she placed second in the three year old mares class at the MAHB mare show. She was tired, but I had to support the show- I was show secretary and entries were light. Now all she has to do is produce a nice foal by Welcome, so she has had plenty of time to relax and recover from a very long weekend! There were horrible photos taken at the event, so I have nothing to show under saddle or over fences. 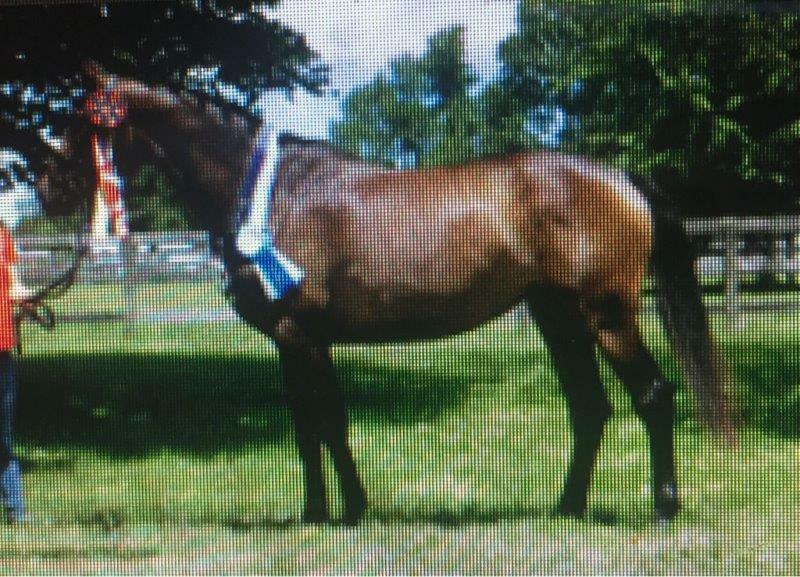 The conformation shots are ones I took after the Mare Show. 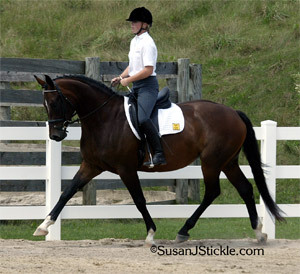 Rhussia's sire, Rotspon, the tall and elegant son of Rubinstein, won his stallion performance test in 1998 with an excellent overall score of 145,67 (148,82 in the dressage category). Like his father, the famous Rubinstein I, Rotspon is a very impressive horse with great rideability, outstanding temperament, movements and a high aptitude for dressage. SOLD! Congrats to Jill Strittmatter! SOLD! Congratulations to Michelle Lauber of CO! Now sold to Lauren Melikian of CA! April 2013: Nhintendo has gotten much taller than I originally thought he'd be. 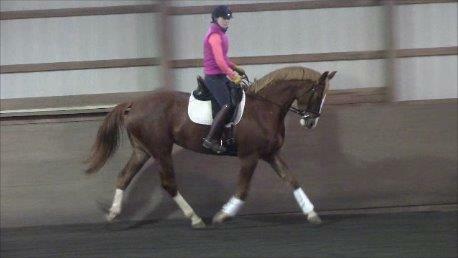 He has an amazing hindquater conformation which translates into a super sit down in the trot and canter. He has the look of a real athlete! 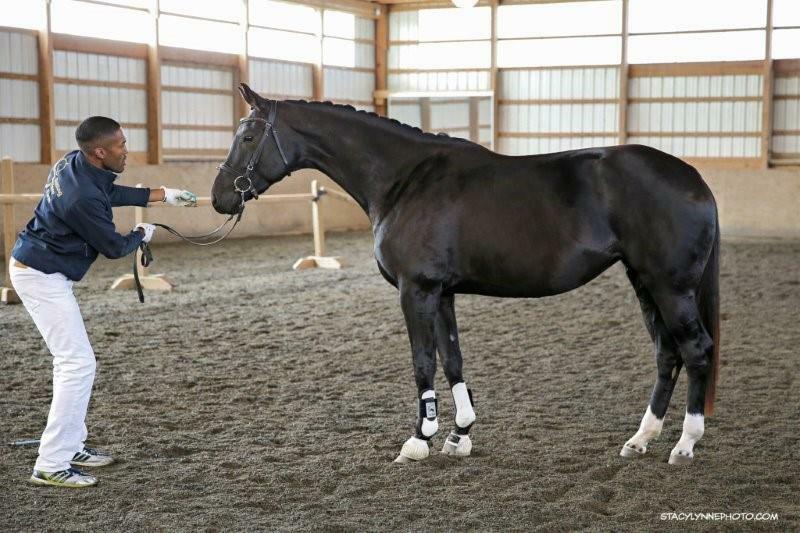 Nhintendo is a powerhouse with a hindquarter that looks able to launch himself over any fence, or sit down in collection in the dressage ring. Look at his beautiful type and look at how good he can move! SOLD! Congrats to Lorraine of CT! Selene and Rhussia look very good in their new home in Colorado. 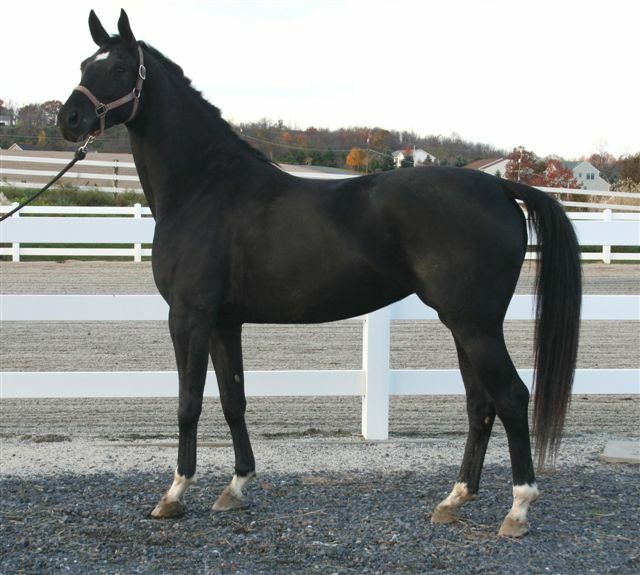 Selene is very tall, as many of the horses sired by Stedinger can be. 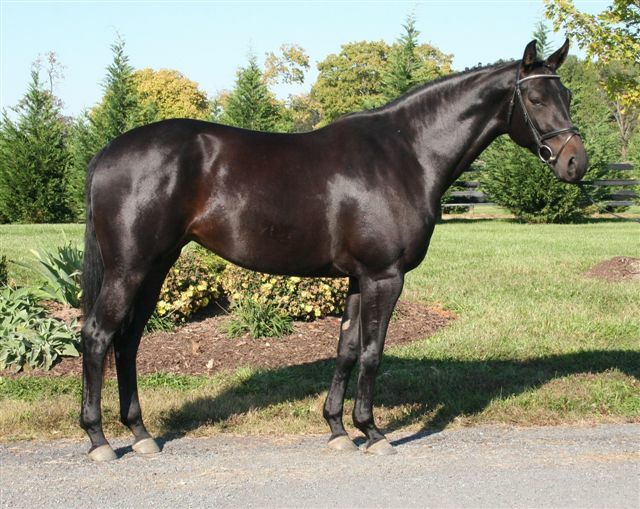 She comes from a performance background both top and bottom, with 2 licensed stallions already produced by Rhussia. SOLD! Congratulations to Erin Schaeffer of MD! 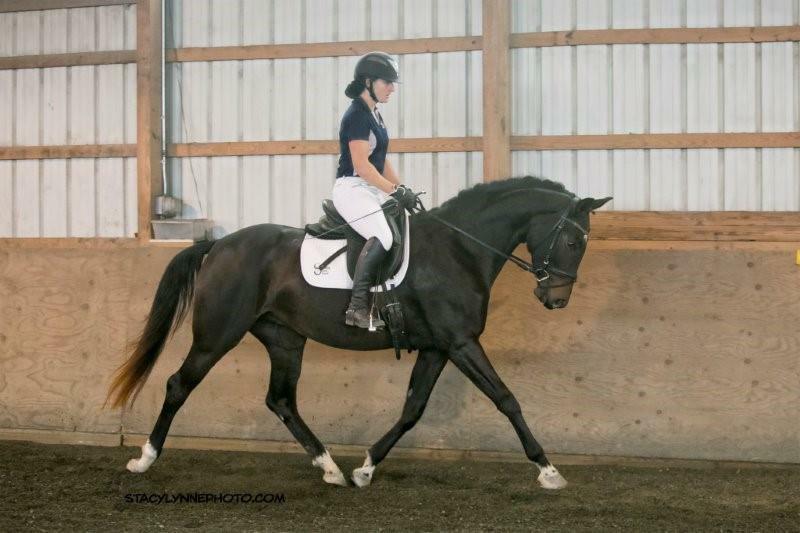 Such a nice horse under saddle! 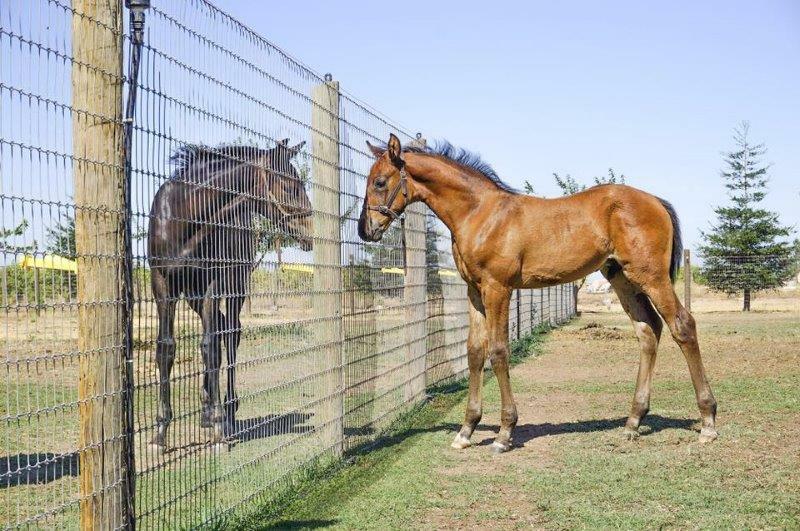 We are thrilled with this first one of Sir James' foals to be under saddle at RSF. SOLD! Congratulations to Carolyn of TX! This is a really good colt, folks! SOLD! Congrats to Kim Fox of VA! 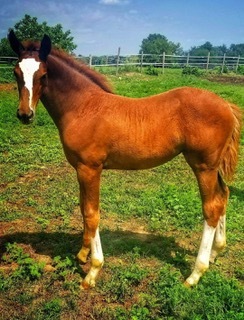 Premium Oldenburg (GOV) filly, and as beautiful as they come. 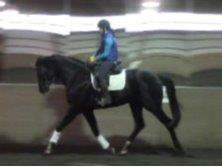 She is entered into the GOV main mare book and successfully completed the mare performance test. Tied for fourth place at the GOV Mare Performance Test with a 7.61. 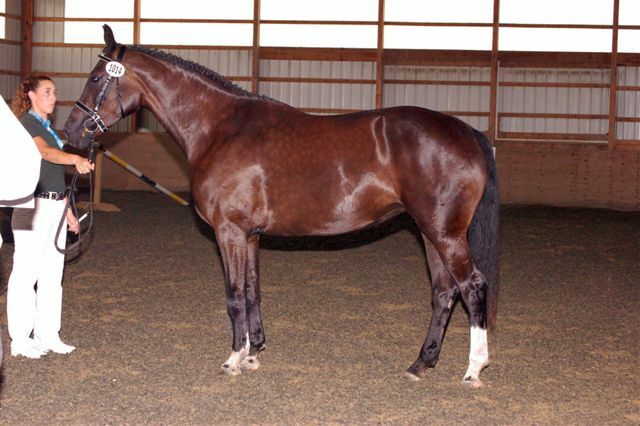 She was not eligible for a premium since she is Hanoverian, so the tie was broken in favor of the Oldenburg mare. 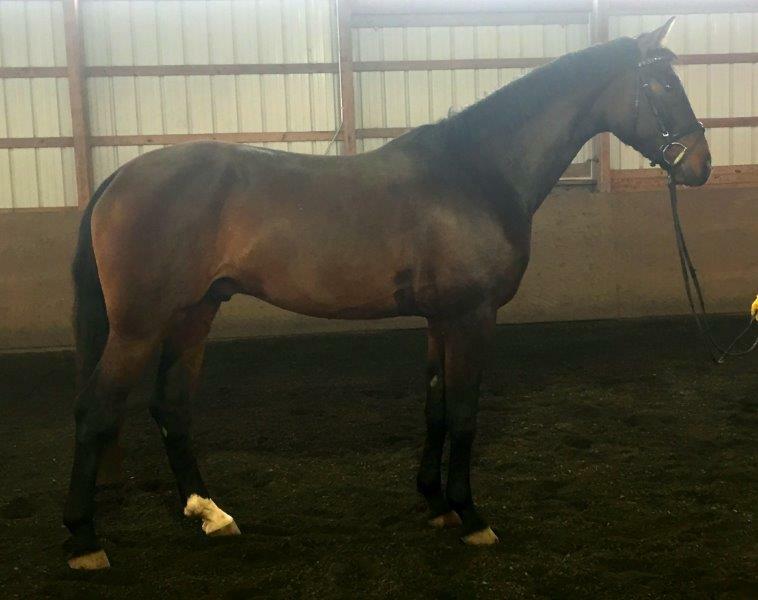 The Oldenburg mare with the same score received Special Premium title. April 2013: Shuffleboard surprised us all at his spring evaluation of his gaits when free running. He showed us the gaits he had previously been hiding with his laid back disposition. He is a really good one! 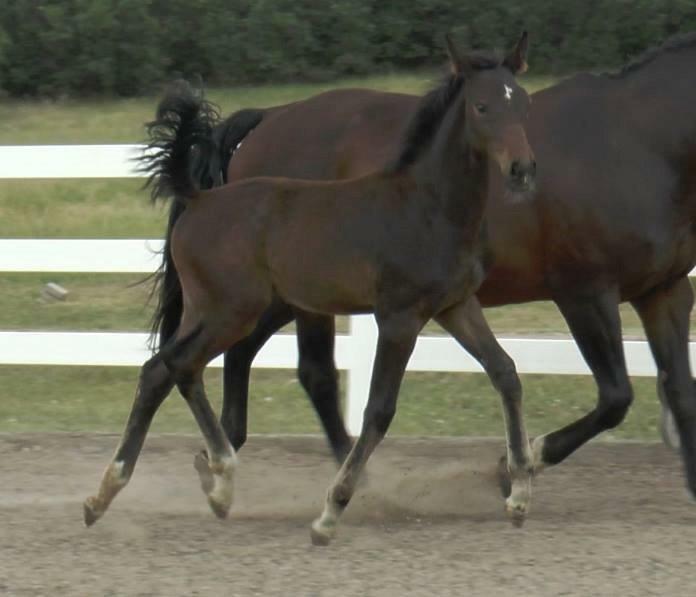 This colt has a disposition that is quiet and easy- perfect for the amateur who isn't as adventurous with young horses as some others and we all know that three good gaits and a good mind can win ribbons for you in the show ring- more so than a fancy trot. 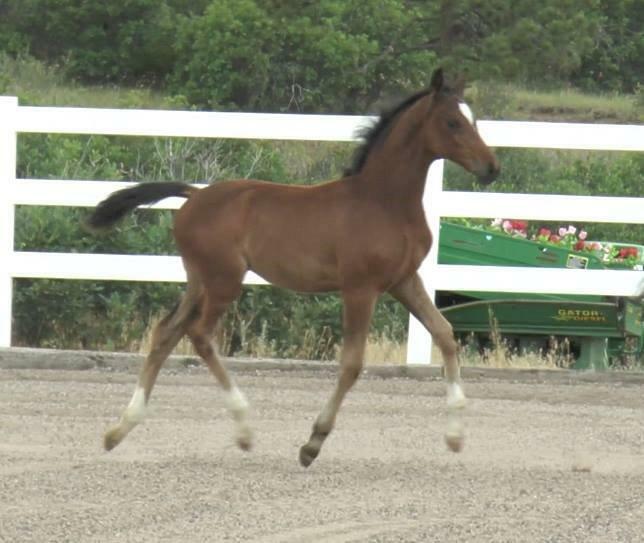 Whitney always has made elastic movers with super walks and this colt is no exception. 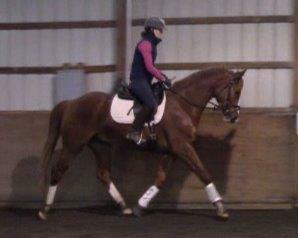 He is really an easy, elastic mover at the trot and canter with a super walk, like the 9 that Whitney received at her inspection. Shuffleboard will mature in the range of 16.2 hands or so. SOLD! Congrats to Amy of NM! 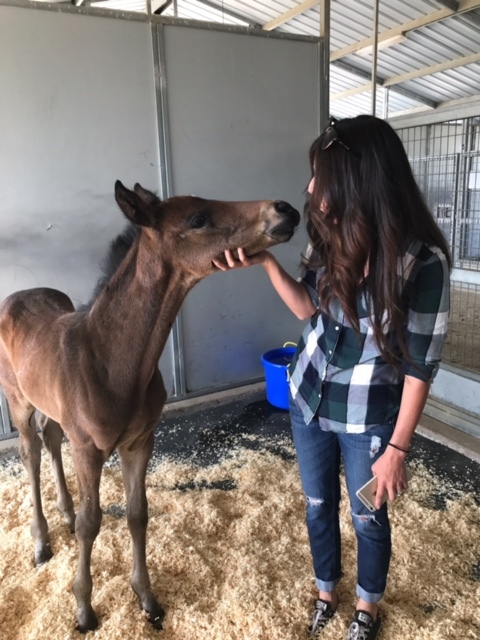 Lauren bought Whaffle and Shawnee and her Hotline filly Hosanna LHF from Michelle and it looks like that was a smart purchase. Named PREMIUM at our GOV inspection! Birth report: She came into the world a bit early, but she came out ready to stand and nurse. She looks like she will have movement that resembles her famous father. SOLD! Congratulations to Julia of NJ! 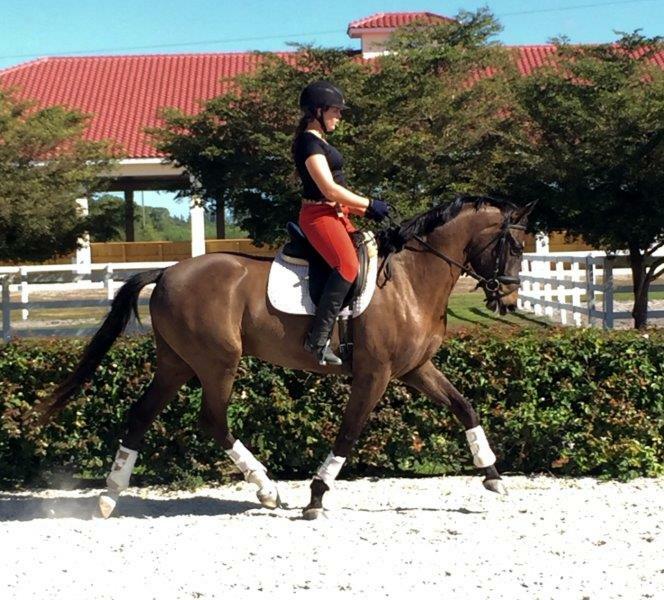 We are in LOVE with Hhot Tamale who has been winning in the dressage ring and is a pleasure to ride and show. Here is her alter-ego sister! SOLD! Congratulations Jennifer of NJ! New video taken October 1, 2014. She can still really MOVE!!!! SOLD! Congratulations Sonya of VA!